Sakai Guides and DocumentationSakai Complete User Guide ForumsHow do I move a thread to a different topic? Zoom: Check the box next to the conversation to be moved. 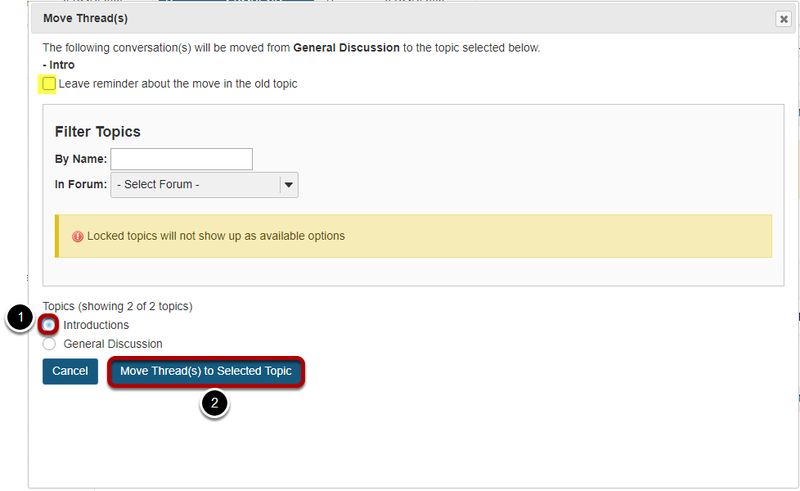 Zoom: Select options and click Move Thread(s) to the selected topic.